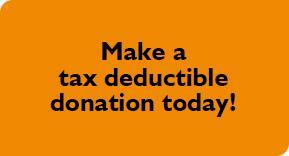 With the end of the year quickly approaching, it is a good time to think about tax deductible donations. Donations can be made up through Dec 31. Checks must be mailed no later than Dec 31 in order to be used as a deduction for this year. Great Dane Rescue of Southeast Texas is a non profit organization that relies solely on donations. All of our Board Members, Fosters, Transporters, etc… are true volunteers. No one is paid for their service to this organization. We do what we do because the Danes and rescue is important to us. All money donated goes directly to the dogs in need in our program. Please consider making your year end donation to GDRST. It is tax deductible and you get the satisfaction of knowing that you are helping to save lives. This entry was posted on Friday, December 25th, 2015 at 3:00 pm	and is filed under Latest News, newsletter. You can follow any responses to this entry through the RSS 2.0 feed. You can leave a response, or trackback from your own site.